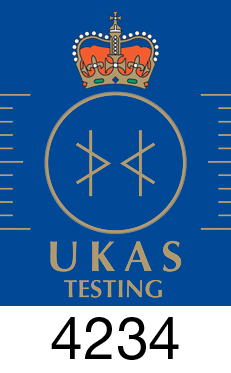 The Control of Asbestos Regulations 2012 (CAR) requires dutyholders to identify the location and condition of any asbestos containing materials (ACMs) and an asbestos survey is the most efficient method to achieve this. Information from the survey can be used to control the immediate risk and forms a starting point towards the Asbestos Management Plan. The use of Asbestos was prohibited in November 1999 and therefore, any premise constructed before this date could contain asbestos and require a survey. Whether a single room in a domestic dwelling or large complex buildings such as universities or hospitals, ASP has the skills and knowledge to provide a comprehensive survey, in a user friendly format with a quick turnaround. 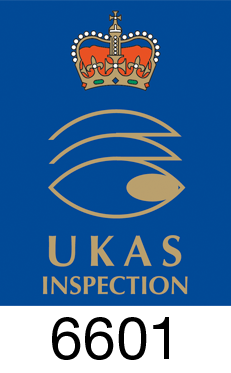 ASP surveys will be carried out in compliance with the HSE’s Guidance Note HSG264 Asbestos: The survey guide as we are a UKAS accredited Inspection Body No. 6601 ensuring conformity to ISO/IEC17020:2012. Surveys can be offered on an emergency basis, available 24 hours a day 365 days a year. Read below for details of different types of surveys that can be provided or contact us for a consultation, where we will recommend a suitable strategy. See where asbestos can be found in your building. The type of survey will vary during the lifespan of the premises and several may be needed over time. ASP will work closely with our clients to ensure that surveys are effectively planned prior to arrival on site. The ASP team of surveyors hold the internationally recognised BOHS proficiency module P402 “Buildings surveys and bulk sampling for asbestos” and importantly each surveyor has a minimum of 5 years experience in all property sectors. Our surveyors are multi-disciplined so can draw upon a wealth of knowledge to ensure the recommendations and actions provided, are accurate. The ASP Project Managers are able to provide advice on the safeguards required for ACMs that remain and specific abatement advice for materials that require action. Previously known as a type 2 survey, Management Surveys are the standard designed to locate the presence and extent of any ACMs that could be damaged during day to day occupancy. Management surveys are typically carried out for compliance forming a starting point for the development of an Asbestos Management Plan. Management Surveys will involve a thorough inspection of the premises and minor intrusive work to obtain samples of suspected materials. This survey is carried out on properties suspected to contain asbestos, i.e. pre 2000 and can be completed whilst the premises is occupied. Previously known as a type 3 surveys, Refurbishment Surveys are carried out specifically in the area where the refurbishment will take place. These are required for compliance with CAR & CDM Regulations before any work commences. Refurbishment Surveys involve intrusive inspection to identify concealed materials within the fabric of the building e.g. within wall cavities/floor voids. Completed in addition to the Management Survey to identify all asbestos, as far as practicable, that may be affected by the work. Any ACMs must be removed by an asbestos removal contractor prior to commencement. This survey will be disruptive, therefore ideally completed whilst the premises are unoccupied. Also previously known as a type 3 surveys, Demolition Surveys are similar to Refurbishment Surveys and should be carried out for compliance with CAR & CDM Regulations before any work commences. Demolition Surveys involve fully intrusive inspections to identify all asbestos contained within the building, as far as reasonably practicable. Completed in addition to the Management and any Refurbishment Surveys to identify all asbestos to be removed by an asbestos removal contractor prior to demolition. This survey will be destructive, therefore completed whilst the premises are vacated and when reoccupation is not proposed. Combined surveys are often carried out when the property requires specific aspects of each type of survey in individual areas. The ASP Project Managers are able to provide specific advice on how to approach the needs of the project and prepare suitable reports for compliance with the Regulations. A Re-Inspection is designed to monitor the condition of any ACMs and provide updated records. This monitoring is necessary to identify degradation, accidental damage or change in use of the area that cause the associated risks to change. A Re-Inspection will involve a return to site to complete the inspection, update photographs and revise recommendations, if necessary.